Pumpkins are iconic for the fall season. But no one ever said your pumpkin had to be boring. You know what we mean. Those big, boring, orange gourds on every step and table come fall? Yeah, okay, so that's the "classic" pumpkin look, and yeah, sure, they're perfect for pies and jack-o-lanterns. But you can do better than just a plain pumpkin when it comes to decorating. 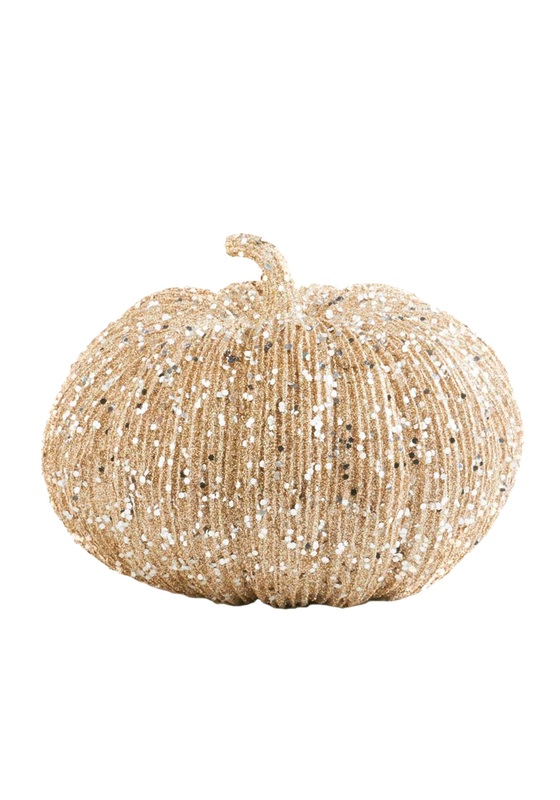 For instance, you could have our 7 Inch Champagne Glitter Pumpkin gracing your table. 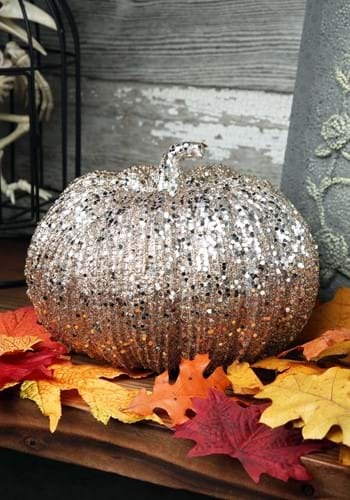 This is a gold pumpkin covered in sparkles and sequins. It sits about 7" high and 8" in diameter and is sure to add a bit of flare and pizzazz to those same old boring pumpkins. Even better? It'll store beautifully so you can use it again and again. No that's the gourd we're looking for.